Across the country, homeowners are gearing up for the spring season, planning out home improvement projects both inside and out to revitalize their property for long-term enjoyment. If you are considering major improvements for your abode’s landscaping, now would be the perfect time to implement a DIY garden path. Garden pathways are a versatile application that can enhance the natural beauty and convenience of your landscaping, delivering peace and tranquility when you need it most. Homeowners have complete freedom in designing and installing their garden walkways, with unlimited potential for creating a unique and dynamic landscape. The risk of this freedom is the higher capacity for failure, as a wide range of factors can determine the ultimate success of your garden path. 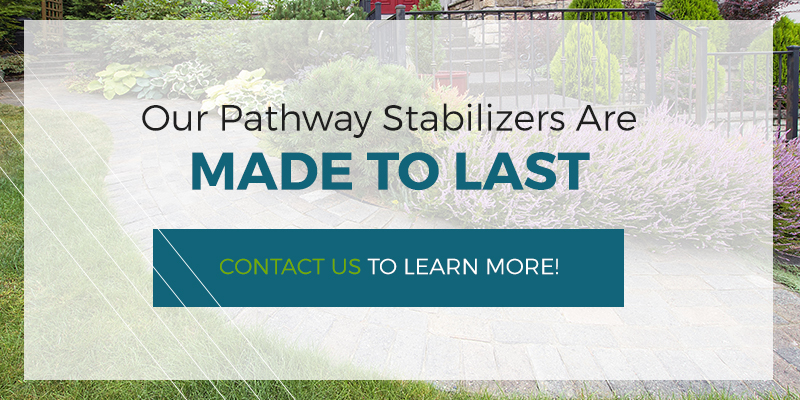 Howell Pathways is here to help you create the best outcomes for your pathways and landscaping, utilizing our pathway stabilizer for Texas projects and beyond to deliver long-term quality. We have partnered with Klingstone Paths to be your exclusive provider of this unmatched polyurethane sealer. 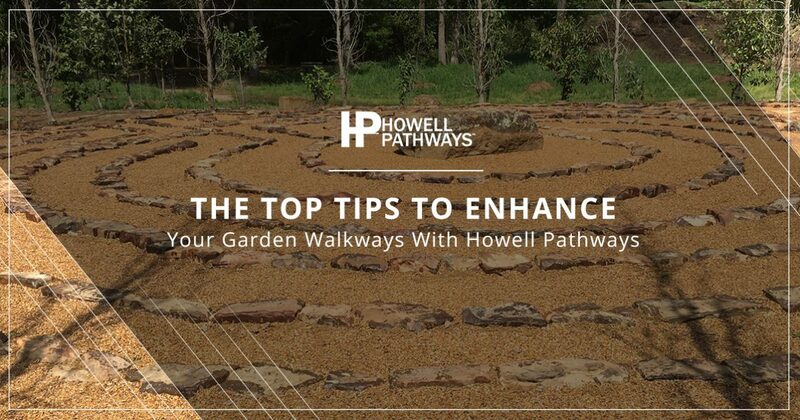 We’re dedicated to providing the best outcome for your project, which is why today’s post will look into a few key tips that can help you when designing your garden walkway. 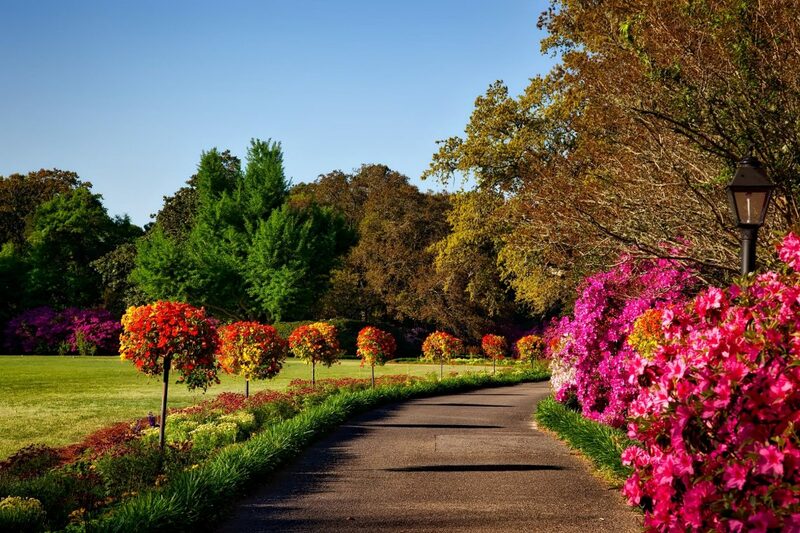 If you are considering a DIY garden path, be sure to reach out to our experts for further assistance! The intrigue of your garden walkway relies on you creating a visual journey for guests. This includes placing your path in a way that guides your eye toward interesting landmarks or beautiful features included in your garden. When done correctly, your walkway will set the tone and mood for your entire garden, highlighting artful aspects to create depth that work to deliver more value for the journey. You have a lot of potential for how to make the most of your space, including varying levels, different plantlife, garden art, and strategic lighting for nighttime enjoyment. The beauty of nature is its ability to blend in seamlessly with our modern construction. Regardless of the material your path is constructed of, it can prove entirely beneficial to include more greenery along the way. If you are relying on pavers, a wide range of groundcovers are available that can introduce green in between the stones to increase the level of nature in your yard. It’s up to you how to decorate the sides and gaps in your garden path, and introducing more varieties of plant life will only help to enhance how pristine your sanctuary is. Once your garden walkway is in place, the struggle will begin with minimizing weed growth along the entirety of the path. Even if your fresh walkway looks great today, a week’s worth of neglect can quickly result in an overgrowth that you will have to begrudgingly clear away. One way to minimize this ongoing headache is to install one (or more) barriers beneath your pathway. Experts suggest placing fabric between the base and the gravel to offer optimal protection from weed growth. You can also utilize an edging material such pavers, stones, or steel barriers to help mitigate weed growth along the borders. A straight pathway is short and boring. If you are trying to create a journey for your guests, we recommend implementing curves and turns to mix up the landscape. This will provide mystery and interest in your garden, giving you the power to highlight interesting points will adding more depth to the experience. Structural elements or flowering plants can help in creating mystery, obscuring the next stage in your garden journey. Variety is the spice of life, and when it comes to implementing an effective DIY garden path, we recommend varying the style of different zones in your landscaping. Changing the types of plants can lead to visual clues that your environment is transitioning. With your garden walkway, it can prove to be an effective measure to utilize different pathway materials in different areas. Our gravel stabilizer can be utilized for more the wilder aspects of your garden while bricks can be utilized to achieve a cottage-style appearance. There are many materials to choose from, giving you the ability to mix and match to meet your unique style. Once your path is done, it is important to take the steps necessary to protect it from a wide range of factors, ranging from adverse weather to heavy foot traffic. Our soil stabilizer was formulated to provide enhanced cohesion while allowing for suitable permeability, making it ideal for a wide range of uses. When it comes to your new pathway, water runoff is one concern that can quickly wash away all of your hard work. Howell Pathways and Klingstone Paths have combined to provide an ideal solution for this, coating your path in a polyurethane sealer that dries to create a suitable surface that allows for rapid water runoff, reducing pooling while keeping your materials intact. Heavy foot traffic can also lead to rapid path degradation. Our spray-on blend increases durability, giving you a sturdy path that resists movement and shearing. If you expect to show off your new garden walkway to your friends, family members, and the entire company, it may prove challenging to keep that path safe and intact after extended wear. Our stuff is durable, effective, and ADA-compliant. If you’re looking for a proven solution for protecting your beautiful new walkway, we provide the best pathway stabilizer in Texas. Contact us today to learn more or to order your Klingstone Paths!